I was saddened to read in Aviation News that Graeme Claridge passed away on the 31st of August 2013. Graeme was truly Mr Plane Spotter Hawkes Bay with a wonderful knowledge of the local aviation history. We exchanged quite a number of emails since I started my blog and he was always obliging and encouraging. He epitomised the best of aviation enthusiasts who want to share their interest with others. I only met Graeme the once after flying on Air Napier's Gisborne-Wairoa-Napier courier service. http://3rdlevelnz.blogspot.co.nz/2012/11/air-napiers-east-coast-express.html... Graeme came out to the airport to meet me and we had a great yarn before I flew back to Auckland later that evening. He was such a personable man! A few weeks ago I flicked him an email to see if he had photographed Air Napier's new Seneca ZK-NAP... He responded The aircraft in question ( X Massey MBB) should be airborne in about two weeks time still a lot of work to be done on her, health permitting and fingers crossed I will get some good pics of her on her first flight it sits in the hangar and because it was parked on the grass for a long time there is still some more work to be done. Great to hear from you, I hope all is well in your world at present. I didn't pick up the significance of health permitting and sadly he passed away some 6 weeks later. My sympathy to Graeme's family and friends. The Airports Association yesterday criticised the airline for pulling out of Masterton and scaling back flights to Wanganui and Westport. The Wednesday morning flight effective from the end of January. What future for Provincial Airports? Businesses in New Zealand’s regional centres are suffering as a result of cutbacks in services by Air New Zealand, and the national flag carrier needs to clarify its policy regarding flights to smaller centres, says the NZ Airports Association. The association, whose members operate 31 airports spanning the country, is concerned that Air New Zealand is pursuing a strategy of axing services to regional centres such as Masterton, Wanganui and Westport. Those decisions have angered businesses and residents alike, with the announcement the airline is to drop the Masterton-Auckland route prompting angry Wairarapa residents to create a Facebook page entitled “Keep Masterton-Auckland Air NZ route”. The page attracted more than 1000 “likes” in the first 24 hours after it was set up. Kevin Ward, Chief Executive of NZ Airports, says that his association shares the concerns that a national airline, which is majority state-owned, it withdrawing its commitment to the regions. “Air New Zealand needs to explain its strategy – how does it decide to make the changes, what are the key reasons, is overall capacity going up or down? Is there a problem with the Beech 1900 fleet? “There is a fear that a move to bigger aircraft such as new ATRs will mean smaller centres will lose out. “Already, we are seeing the provincial economies suffer. We know the flight reductions have a negative effect on the regions, as the reaction to the Masterton route axing demonstrates. “It is understandable that people in the Wairarapa, in Wanganui and on the West Coast are asking questions about how Air NZ juggles its fleet around the regions, cancelling less-profitable routes and expanding others. “While they understand that an airline must run with commercial objectives in mind, they fear that even a moderately-profitable route will be replaced if there is a better profit available elsewhere. That means that there is no long-term commitment to air services which have been vital in nurturing business and employment opportunities. “The regions need some clarity about the policy Air NZ is pursuing.” Mr Ward said that questions should also be asked about the very high air fares Air NZ maintains to regional centres. “In the Masterton example, one user of the service talked of ticket prices climbing towards $700 return. Fares of that magnitude, charged by a monopoly operator on the route, choke air travel to smaller centres and affect their economies. “The regions deserve some explanations from Air NZ of what lies ahead in terms of a commitment to provincial services.” NZ Airports is the industry association for New Zealand’s airports and related businesses. It is a not-for-profit organisation. You guys are a great airline! I’ve flown on you a few times to and from Picton and Nelson. You’ve really worked on finding yourself a niche, from Picton first and then from Blenheim and Nelson and you’ve done it without stepping on big brother’s toes! (well not too much anyway!). Finding a niche market of flying into the capital is what you do best and you really seem to have got the formula right... Good timetable, good fares, good relationship with your passengers and you are reliable! And that’s why I think you guys should think about flying into Wanganui. It seems to me the River City has a lot of potential for an innovative company like yours over, with all due respect to big brother, a company like theirs. What big brother did right was their timetable… south to Wellington in the morning, return in the evening. What they did wrong was their fares! This is where you guys do it better. Andrew, in July you told the Dom Post that, “Sounds Air could not compete with the national carrier's flexible fares, but where it won was in the fare structure that remained the same, no matter when a passenger booked. ‘If people want to travel next week, it's the same as if they want to travel tomorrow’." That’s gotta be a winner with your reasonable fare especially if you are the only pigeon in the race. Of course you have to tell Wanganui people about the Airport bus service that gets them into Wellington city in a matter of minutes… A friend of mine was telling me he used it recently instead of a taxi – he thought the bus was a lot faster and certainly a whole lot cheaper. Flying you guys has got to be better than the hassle of driving into Wellington in the rush hour and the hassle of parking! Of course the other thing that is in your guys favour is your flights on to Picton, Blenheim and Nelson. Do a deal on through fares and you get more bums on seats on both sectors. And then of course there is the possibility for a connection for those who want connections to big brothers and the other outfits super cheap fares to Christchurch. All you guys have to do is to convince Wanganui people to leave their cars at home and fly with you! You’ve convinced people to forget the ferry (and even some to forget big brother). With all due respect to you guys, I know you have got your sights set on Masterton, but the success of that route seems to me is just what sort of cheap fares are going to be available from big brother and the other outfit in and out of the capital at peak time so your success is going be dependent on them. There will be no Masterton-Wellington business traffic to fill seats. Ask air2there – they tried Masterton-Wellington when they started and they didn’t last long! (I think they also operated Wanganui-Wellington via Paraparaume which wouldn’t have been a winner). Anyway, enough rambling! Keep up the good work Sounds Air! You’re doing a great job. What future for Kaitaia and other provincial services? Air New Zealand was forced to defend its regional airfare pricing to shareholders at its annual meeting in Auckland, even as it announced more regional routes are on a "watchlist". An airline spokesperson said there were still some underperforming routes on the regional network, "which need to improve to have a future. In particular Auckland-Kaitaia, which is on a watchlist." The airline would not specify any other routes on the watchlist. At yesterday's AGM, shareholder Peter Hastings asked the company's chief executive, Christopher Luxon, to explain the regional cutbacks, particularly the scrapped Auckland-Masterton service. Luxon said the higher regional airfares were a result of the aircraft used. "High prices are a perception out there. The reality is, the per seat cost is much higher in a 19-seater," he said. Luxon also said the airline was the only one in world that serviced 100 per cent of its country's towns and cities with more than 20,000 residents. Despite the cutbacks, Luxon said regional customers were connected and well-served. The airline was also attacked yesterday by New Zealand Airports Association chief executive Kevin Ward for hurting regional businesses. He claimed the airline was abusing its monopolistic position by cutting regional scheduling and increasing prices. "Businesses in these centres and others need the vital connection to the main centres to stay viable. Already, we are seeing the provincial economies suffer," he said. An airline spokesperson said that to further stimulate regional growth, the airline was this year offering more than two million seats around New Zealand for under $100. " The addition of new, larger turbo-props into the fleet will facilitate growth in capacity through upgrading to ATRs on well-performing routes." The airline said it anticipated growth from upgrading of B1900Ds to Q300s on such routes as Auckland-Blenheim, Auckland-Rotorua, and Auckland-Gisborne. Yesterday you asked some interesting, but if I may say rather, unfortunate questions on your reporting of a sparrow artfully flying into the cockpit of an Air New Zealand aircraft on Monday. The passengers had to wait to board for an hour and once they were seated, their pilot informed them they had been delayed trying to extricate a sparrow from the cockpit. You then reported, An Air New Zealand spokeswoman said yesterday the flight had been delayed by a "crewing issue". The spokeswoman was asked to explain the disparity between a "crewing issue" and a sparrow. It's a simple answer... on all the aircraft flying into Blenheim there is only seating for two flight crew. Notwithstanding the need of the third crew member not having need of a seat, its tendency to fly around the cockpit would indeed cause a serious "crewing issue"
You then commented that Air New Zealand did not respond to questions from the Marlborough Express about how the bird came to be in the cockpit, or why it took so long to catch and release the bird outside. Really? When was the last time you went out to Woodbourne Airport? The plane lands, the door opens, the door stays open until boarding is completed. And as for trying to chase a bird out of the cockpit - if it has Air New Zealand ground staff trying to catch it in an extremely limited when it finds a gap to fly away it is going to head in straight line - right into the main cabin. 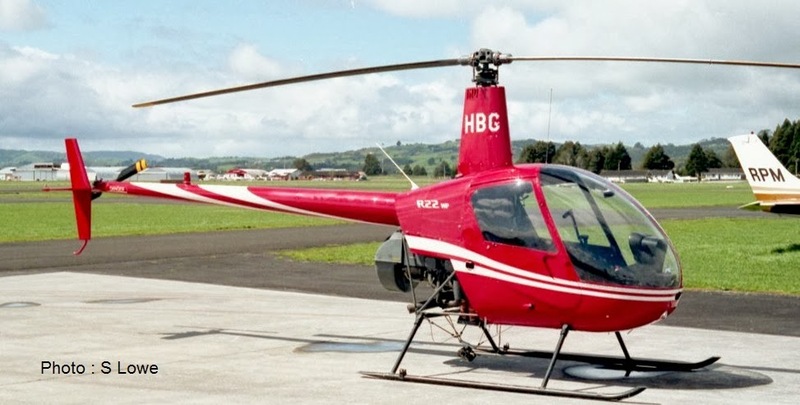 Michael Towarek's flying school, Golden Wings Flight Training, is now in the hands of Christchurch liquidators Rhys Cain and Bruce Gemmell, put there by law firm Duncan Cotterill over an unpaid bill for about $7000. Cain said he was surprised that Towarek had let the liquidation go ahead. "For whatever reason he has decided not to pay them and the company was tipped into liquidation." But Towarek dismissed the liquidation. Today he said Golden Wings' poor performance showed the difficulty in finding suitable people to run his New Zealand companies. He tried to help people, but had found that in many cases people he hired or funded had sat back to just "click the ticket". Towarek said he had been hoping to quietly wind down Golden Wings Flight Training and close it, but a creditor had stepped in with the liquidation proceedings. He also intended to close his charter airline and the Beechcraft was for sale. The same day that the liquidation proceedings were served - July 24 - he set up Pacific Pilot Ltd, with another Nelson man, David Marriott, who also has Nelson Pilot Training Ltd in a 50-50 partnership with James Campbell, of Kina Beach Rd. He owns Golden Wings Ltd - a charter airline which advertises executive travel throughout New Zealand using a plush Nelson-based Beechcraft 350, bought new in 2010. This year's price is US$6.12m ($7.34m). It was Nelson's turn over the last couple of days to have Australian registered Piper Pa42 400LS Cheyenne VH-BUR doing calibration work for Airways Corporation. The aircraft has been used for this work in New Zealand for sometime... in the last few days it has been doing similar work at Queenstown, Palmerston North, Ohakea and New Plymouth. 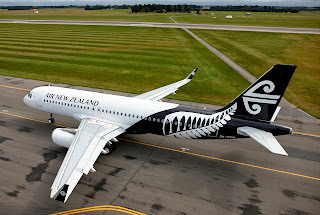 Air New Zealand's first aircraft bearing the airline’s New Zealand Fern Mark inspired livery is right now on its first flight across the country. Airbus A320 ZK-OXB aircraft goes into service on Air New Zealand’s domestic network making appearances in Auckland, Christchurch and Queenstown throughout the day. The new white livery features a black tail with the distinctive New Zealand Fern Mark in contrasting white. While most of the fleet will sport this white version of the livery the airline will also continue to have a small number of signature aircraft in an all black version. Air New Zealand is encouraging Kiwi plane spotters to track the aircraft’s progress throughout the day and share sightings on its social media channels – Twitter @FlyAirNZ; Instagram #airnzshareme or send larger files to socialmedia@airnz.co.nz. The airline is also offering fans the chance to win a scale model of the new look Airbus A320 by creating a paper plane version using the template from www.theflyingsocialnetwork.com, and sharing a picture of their creation on Instagram or Twitter using #AirNZPaperPlane. · $100,000 grants to two Antarctic researchers to support their post doctoral studies. · Travel for scientists and research equipment from Canada and the United Kingdom to New Zealand to join Antarctic research efforts. · Travel for New Zealand based researchers to travel to Canada and the United States to advance international research collaboration. · Partnering with the New Zealand Antarctic Research Institute on polar amplification research and its potential consequences. The proving flight is scheduled to depart Auckland International Airport on October 5, 2013. It will be crewed by Air New Zealand staff and supported by Antarctica New Zealand staff. Another tale of woe for Real Tonga... this letter was sent to the editor of Matangi Tonga Online by a German tourist... This must be destroying the Tongan tourist industry! We spent two beautiful weeks on the islands of Tongatapu and Ha’apai. However, we faced some problems with the domestic airline Real Tonga. We hope that our story about the problems we faced with the domestic airline contributes to an improved situation for travellers. When we planned our trip to Tonga we wanted to take the ferry from Tongatapu to Ha'apai and back again – but we found we had to book a flight back in order to catch our connecting flight back to Auckland. After arriving in Nuku'alofa we were told that the ferry would not come as planned - but we had already booked our accommodation in Ha‘apai - so again, we were forced to book a flight in order to get there. The flight departure was supposed to be at 4:30 pm, so we spend the morning walking in Nuku'alofa. We checked our emails around 11:00am and were surprised to find another eTicket sent by Real Tonga. We opened the pdf-file just out of curiosity and noticed that departure time was at 1:00pm! Nothing was mentioned in the email itself! Our host in the guesthouse in Nuku‘alofa rang them for us to confirm this change - so we had to rush to the airport. While waiting for departure at the airport we met several people who were stuck in Nuku'alofa for four days and who were really upset about it. At the new guesthouse in Ha'apai we met a Dutch girl, whose flight back to Tongatapu had been cancelled twice because of the weather conditions. She was really desperate and we heard that in the end she had to take the ferry back. I was getting a bit worried by that time - we had heard so much about delays and cancellations. We had a great time in Ha‘apai - except for the fact how hard it was to get cash - we learned about that when we were already in Pangai! We had informed ourselves before we got to this remote group of islands and no one knew that the bank shut down and according to all our sources (internet, Jasons tourist brochure) there was supposed to be an ATM in Pangai. We could sort things out in the end but we heard a lot of complaints – not only by tourists. Our flight back from Ha‘apai to Tongatapu was supposed to be on Wednesday 11 September at 3:20 pm, but after checking on Tuesday night we were told our flight got cancelled due to the weather forecast (apparently that was not the reason because the weather was just fine!). We had to reschedule both our connecting flights to Auckland and Sydney. That stopover in Auckland was necessary as we had some baggage left behind that we could not bring to Tonga (paying an extra bag was expensive). We heard about another flight to Tongatapu that was supposed to depart at 10:20am Wednesday. We caught a boat to Pangai the next morning and thought we might make it! We were picked up at the wharf in Pangai by our host and taken to Lindsey's Place, the guesthouse with the Real Tonga office nearby. There we were told that there was no flight that day and that we would have to take another flight the next morning. The lady in the office said she would reschedule the connecting flights for us. She could not tell us at that time when our flight(s) the next day would be but she mentioned that we were likely not to catch an airplane to Auckland before Friday. So we were stranded and spent the night in the same guesthouse. We were given 50 TOP by the office lady to cover the costs for dinner and she said the airline would pay the guesthouse as well, so no costs for us! She also said that she would let us know about the departure time for the Ha'apai- Tongatapu flight. But she did not come and tell us (although she had said so after being asked and asked by us) and I only got information when I went to see her several times and finally, late in the evening, she could tell me that we were on the list for the next day, check-in 10:00 am. However, she still had no information about the international flights. The next morning (Thursday, 12/9/13) she took us to the airport around 7:00am. We spent almost 5 hours waiting at the airport in Pangai because (what a surprise!) check-in was NOT at 10:00am, but somewhere around 11:45am. Of course, no one could give us any information on that matter either and we needed to ask several times - no one came to provide us with information. Also about the procedure after our arrival in Nuku'alofa - what would happen? How could we get information on our international flights? After asking question after question, the lady said there would be a transport for us to the Air New Zealand office where we could confirm our flights. She did mention also that we would have to pay for the rescheduled flights. When we asked about the accommodation in Nuku'alofa she said, Real Tonga would cover the costs and that we would spend the night at the Scenic Hotel. When we were finally aboard the aircraft we were told that we had to go to Vava'u first to refuel. After our arrival on the Tongatapu domestic, we did not know what to do next - and neither did the airport staff! When we told them that we had been promised a transport to the Air New Zealand office, they clearly had no idea what we were talking about. We asked for the person that according to the lady in the Ha’apai office, was the one that would take care of us in Nuku'alofa. But she had no idea what was going on. We explained our situation to her and finally she arranged a transport with a staff bus - we had to wait for this bus for another hour and it still did not come! So we asked again and again and finally, another staff member called someone to pick us up (instead of the bus). They took us to the Real Tonga office. There again, we had to explain our situation because they didn't know either about it! They just sent us to the Air New Zealand office - as if we were their problem now! I was really upset about the way we were rejected! When we asked about the accommodation for the night we were told that this was none of their business. According to the Real Tonga policy it was only their job to get us from Ha'apai to Nuku'alofa. Anything else was our problem and we were the ones to take care of it - including the rescheduling of the internationals! The lady in the Real Tonga main office could not help us any further, so we rushed to the Air New Zealand office.! It was 4:50 pm and the office closes at 5:00 pm. We had no idea where it was and the lady in the Real Tonga office had not given us the correct directions! So we had to run (with all our baggage) and look for it. In the Air New Zealand office we were treated really nicely and the lady was the first really helpful person that day! But we had to pay 2484 TOP for the flights. Real Tonga would not pay a single cent. We returned to the Real Tonga office to claim a letter of confirmation that was proof of the cancellation made by Real Tonga and the resulting flights that we had missed. At least, we got a letter each. So, we would leave Tonga the next day. We had to pay for dinner and the last night in Nuku'alofa ourselves, which was in total about 140 TOP. So, that's the story! What upset us the most was the fact that no one seemed to care - it was always up to ourselves to go and ask questions, try to get some information! The lady in the Ha'apai office gave us mainly wrong information – but we are convinced that she did not know better and she did her best to help. But there seems to be no communication at all between Ha‘apai and Nuku‘alofa. We still do not know why the flight had been cancelled (we heard several stories - from weather to no petrol to mechanical problems at the aircraft.). The travel back to Tongatapu took us the whole day consisting mainly of waiting and waiting! Customer service was as good as non-existent, which is a shame thinking of all the friendly Tongan people that we met elsewhere! We really hope that the situation will improve and that maybe our story contributes to a change. We met many travellers with similar or exactly the same problems with Real Tonga. All of them had to pay considerable amounts of money for something Real Tonga had caused and all of them felt left alone by the airline. We had two fantastic weeks in Tonga but the last two days have been a nightmare. We would love to come back one day - if there is a better and improved airline system. Piper Cherokee 140 ZK-DBT never saw airline service itself but it worked for Hokitika-based Westland Flying Services... http://3rdlevelnz.blogspot.co.nz/2010/04/hokitikas-westland-flying-services.html It looked a lot nicer at Ardmore in 1988 after its repaint. Cook Strait airline operators Sounds Air have put in a bid to service Masterton Airport, to start in November. SoundsAir would commit a 12-seat Cessna Caravan for morning and evening flights from Masterton to Wellington airport for a flat rate of $95 per flight, allowing passengers to transfer onwards. General manager Andrew Crawford flew in with his chief pilot, Willie Sage, to Hood Aerodrome to meet Masterton Mayor Garry Daniell and chief executive Wes ten Hove yesterday morning. Sounds Air has been in operation since 1986, starting with a Wellington-to-Picton route and now covering Nelson and Blenheim. Mr Crawford said when they heard Air New Zealand were pulling out, they immediately thought of the possibility. "We just got this plane, we've got spare capacity, let's see what happens," he said. "Our business has always relied on crossing water", adding they flew nearly 55,000 passengers last year. "But you've got a barrier [of mountains]. "It's two hours' drive to Wellington airport, and $30 a day to park. "That's four hours out of your day. "Right here, you can fly for $95, connect to Air New Zealand or Jetstar, or stay in Wellington." Sounds Air would offer a 7am flight to Wellington, returning at 7.30pm to Masterton. "I live in Blenheim, it's a town of similar size, it's a town like Masterton. It has commuters who travel nation-wide or who work in Wellington." He said there had been a lot of talk of recession, of people not travelling, but their experience was the opposite. "We provide a good service on time, and we pride ourselves on getting into Wellington as smoothly as possible." 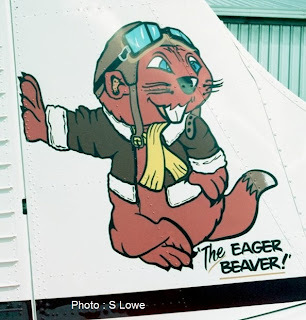 Mr Sage, who has logged 12,000 hours of flight time, is familiar with Hood Aerodrome. He said the route to Wellington depended on weather and the direction of wind. "Comfort is a big thing with us, it's a high priority." Mr Daniell said he had been in talks with Sounds Air after the "bombshell" that Air New Zealand had dropped. He considered the $95 fare "cost-effective" and flying to Wellington provided alternatives for passengers wanting to travel further. "We got the runway and terminal up to passenger status, with significant community investment. "I'm delighted the potential to fly from Masterton still remains." Mr Daniell said he still hoped some other operator would come forward for the Masterton-Auckland route, which ends in February. "We have had some expressions of interest from other airlines," he said. "But Sounds Air has come out with a definite proposal." Most exciting was Carribean Air Cargo's Boeing 707-300 8P-CAC - a desperation shot as we taxied to the gate! 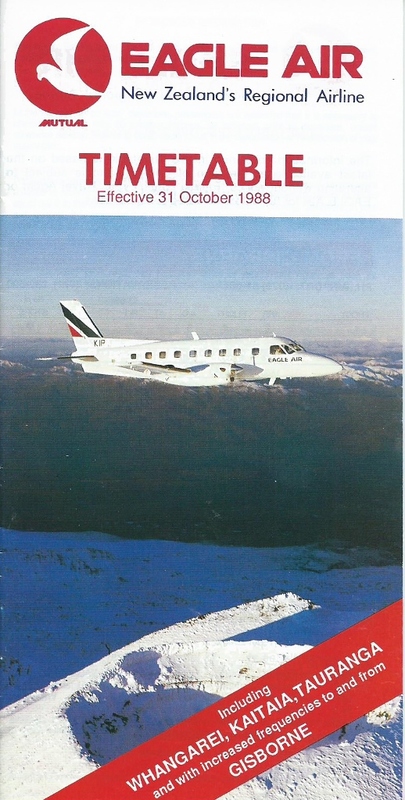 On the 16th of September 1988 the face of provincial air services dramatically changed with the news that Air New Zealand had purchased a 50% holding in both Eagle Air and Air Nelson and that it was relinquishing a number of its Friendship services to the provinces in favour of these third level airlines. 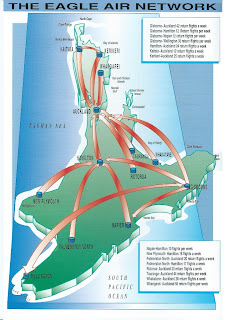 From the 31st of October 1988 Eagle Air inherited all Air New Zealand’s services from Auckland to Kaitaia, Whangarei and Gisborne, as well as the flights between Gisborne and Napier and some flights between Auckland and Tauranga. All these routes were to see an increase in frequency. Kaitaia’s single Friendship flight to Auckland was replaced by two Bandeirante flights. Whangarei went from a twice daily Friendship service to Auckland to five Bandeirante flights. Another withdrawal was the Gisborne-Tauranga-Auckland Friendship service leaving Tauranga with one Air New Zealand Friendship flight to both Wellington and Auckland. To complement the daily Friendship service between Auckland and Tauranga Eagle introduced three Bandeirante services. Gisborne’s two Friendship services to Auckland, including the service via Tauranga, were replaced with five direct Bandeirante flights. The new services required Eagle Air to increase its Embraer Bandeirante fleet from three to five and Eagle imported two second-hand Bandeirantes ZK-JCM (c/n 110305) and ZK-LBC (c/n 110345) from the United States. Despite the extent of the new services only minor changes were made to Eagle’s existing network. The most obvious of the changes was made to the Auckland-Hamilton-Palmerston North service which had previously been Eagle Air’s main route. This service was separated with the Auckland-Hamilton sector being primarily operated to ferry Bandeirantes to and from the Hamilton maintenance base and Auckland which was which was now the major hub. Meanwhile the Hamilton-Palmerston North flights operated in its own right without being supplemented with passengers to and from Auckland. The Hamilton-Gisborne-Napier services remained virtually unchanged as did the Hamilton-New Plymouth service but this service was deleted from the next timetable by the 1st of April 1990. A couple of looks at one of the new Bandeirantes ZK-JCM. Above, it was captured at Gisborne on 11 April 1989 still wearing its previous colour scheme. Below, at Napier on 20 January 1992 ZK-JCM is seen in the new Air New Zealand Link colour scheme. The initial reaction in the provinces to the change from the pressurised Friendship to the unpressurised Bandeirante was one of dismay. Soon, however, provincial centres realised the advantages of a much improved frequency that was still part of the national airline’s network and the new services began to grow. Passenger numbers increased to such an extent that within 12 months Eagle Air was operating six flights a day from Auckland to both Whangarei and Gisborne. With a growing demand for flights to and from Auckland other services were pruned. For a time the direct Hamilton-Gisborne service disappeared. The growth in business also prompted the purchase of a sixth Bandeirante. ZK-MAS (c/n 110214) was purchased from Mexico and it arrived in New Zealand on the 27th November 1989. Newly arrived Embraer Bandeirante ZK-MAS at Hamilton on 16 January 1990. This was the only aircraft to carry these stripes on the fuselage. Further expansion occurred on the 23rd of April 1990 when Air New Zealand withdrew its older 100 series Fokker Friendships and relinquished its services to Whakatane and Taupo. Both Whakatane and Taupo had a daily direct Friendship service to Auckland and as well as a Friendship service to Wellington that operated via Wanganui. Eagle Air inherited the services between Auckland and Taupo and Auckland­ and Whakatane. Whakatane lost its southern link to Wellington with passengers having to tranship at Auckland while Air Nelson took over the flights between Taupo and Wellington. The new timetable saw Eagle Air’s Bandeirantes operating three return services a day between Auckland and Whakatane and a twice daily service between Auckland and Taupo. The rather tight 18-seat Bandeirante seating configuration. This was later changed to a one each side 15-seat configuration. In the time following the takeover of these Air New Zealand services Eagle moved from being a third level airline struggling to survive against a dominant national carrier to a regional airline aligned with the national carrier. The change, however, did not come without casualties. 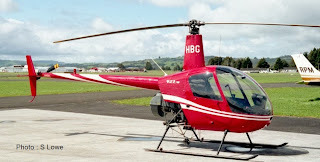 The Northland Districts Aero Club had been a long time operator of an air service between Whangarei and Auckland and by mid-1988 it was using a GAF N22 Nomad on this service. 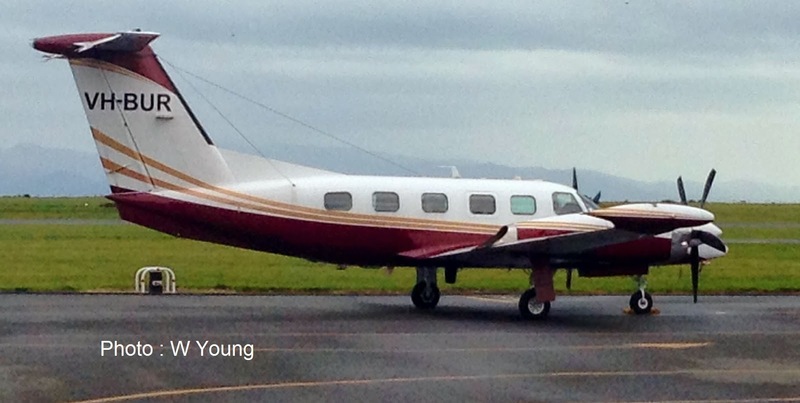 Likewise, Bell Air was operating an excellent service between Whakatane and Auckland with a Beech 99. Both felt the impact of the increased Eagle Air services and both aligned themselves to Ansett’s regional operation, Tranzair. Sadly, despite the connection to Ansett, they were not able to compete with the Eagle Air-Air New Zealand partnership and both these air services were to disappear. Air New Zealand withdrew its last Friendship services through Tauranga on the 17th of September 1990. The Wellington-Tauranga sector was taken over by Air Nelson but at the same time Eagle Air also increased its frequency between Auckland and Tauranga from three to five flights each weekday. Eagle also established a base at Tauranga which negated the necessity of a ferry flight from Hamilton. By the 29th of October 1990, some two years after taking over the first Air New Zealand services, Eagle was operating six flights a day from Auckland to both Gisborne and Whangarei, five flights a day to Tauranga, four flights a day to Hamilton, three flights a day to Whakatane, two flights a day to Kaitaia and two flights a day to Taupo with a chartered Piper Chieftain. In addition to these three flights were operated each day between Hamilton and Palmerston North and the service between Hamilton and Gisborne was reinstated with two flights a day. By this stage Gisborne was Eagle’s second most important base with 16 pilots based there and light maintenance was also carried out at night at Gisborne. Bases were also established at Whangarei and Whakatane. While the Gisborne-Auckland service was going well the unpressurised Bandeirante was not considered particularly suitable for this service. On the 4th of March 1991 Eagle Airways introduced Fairchild-Swearingen SA227AC Metroliner III ZK-NSQ (c/n AC706) to its fleet. This first Metroliner was leased from sister-company Air Nelson pending the arrival of Eagle’s own Metroliners and it started operating on the Gisborne-Auckland service. The Metroliner provided the advantage of pressurisation, better loading capacity, range and speed, with the flight to Auckland taking only 55 minutes in the Metroliner compared to the Bandeirante's one hour 15 minutes. In May 1991 Eagle received two Metroliners of its own. ZK-OAA (c/n AC546) and ZK-PBA (c/n AC547) were imported from the United States and took over all the Auckland to Gisborne services on the 1st of June 1991. On the same day Metroliners also inaugurated a one-month trial service between Gisborne and Palmerston North. This left Gisborne at 9.35am Monday to Friday, arriving at Palmerston at 10.20am. The return service departed Palmerston North at 5.10pm and to arrive at Gisborne at 5.55pm. From the 21st of May 1991 the Eagle fleet, along with the Air Nelson’s fleet was rebranded as Air New Zealand Link and the fleet repainted in the parent company’s teal and blue colour scheme. In a move to promote customer appeal Eagle also refurbished its Bandeirantes with avionics upgrades and new interi­ors that saw the seating being reduced from 18 to 15. 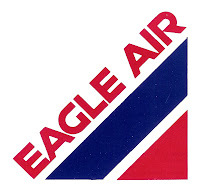 John Hambleton, Eagle’s sales and marketing manager, when describing Eagle Air in Wings in September 1991, considered the term "third-level" to be pejorative and "commuter" to have too strong a business connotation. "Regional is the extent of service, while commuter is frequency. Regional airlines take responsibility for the old Air New Zealand regions. NAC had a special thing, and I think it's being regained. "Eagle is here for the regions. We offer improved frequency of service and have become important in the route distribution. We're more flexible, with products specific to the route, and we can focus because we're not affected by the vast numbers flying the main trunk. We deal with the small people." The summer schedule which came into effect at the end of October 1991 saw Eagle Air reduce the number of flights between Gisborne and Hamilton in favour of an additional Gisborne to Auckland flight. At this time Eagle were operating three flights each weekday between Gisborne and Napier to connect with Air Nelson services to and from Wellington. These supplemented the direct flights Air Nelson operated between Gisborne and Wellington. The Gisborne-Hamilton service was discontinued on Mondays, Wednesdays and Fridays because of the lack of patronage. The average load between Gisborne and Hamilton was only 3.5 per flight and so the Hamilton service only operated on Tuesdays and Thursdays. Instead the aircraft was used to operate Gisborne-Napier-Palmerston North service on Mondays, Wednesdays and Fridays. Another important milestone occurred on the 1st of November 1993 when Eagle Air took over Mount Cook Airline’s Auckland-Kerikeri service. Bandeirante ZK-MAS flew the first service from Kerikeri on that day. 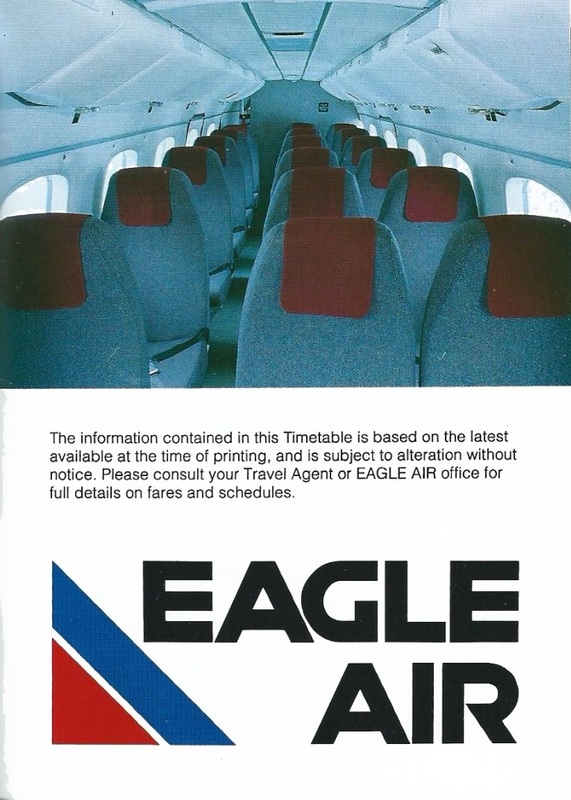 While the Bandeirantes and Metroliners were the mainstay of Eagle services, at times Eagle also used other aircraft. Between late 1993 and early 1995 Eagle Air chartered aircraft from two other North Island companies to give them extra capacity. Kiwi West Aviation was a New Plymouth-based company which had commenced scheduled services between New Plymouth and Hamilton and New Plymouth and Palmerston North using a Beech Queen Air Excalibur on the 25th of January 1993. The Palmerston North-Plymouth flights were not well supported and they ended in mid-July. The efforts of this new airline were not lost on Eagle Air who continued to have an interest in linking Hamilton with direct flights to other North Island regional centres. From the 1st of November 1993 Eagle Air, under the Air New Zealand Link banner, re-introduced weekday services between Hamilton and New Plymouth, Hamilton and Gisborne and a daily service between Hamilton and Wanganui using Kiwi West Aviation’s Excalibur ZK-TAK and Auckland-based Menzies Aviation’s GAF N24 Nomad ZK-ECM. On the 1st of December 1993 Air New Zealand bought the remaining 50% of Eagle Airways shares giving it full ownership. In 1994 Menzies Aviation’s Nomad was mainly used on Eagle’s services between Auckland and Hamilton and Auckland and Whangarei. Later Menzies Aviation replaced this aircraft with a Bandeirante of their own which also was registered ZK-ECM. This was often used as a backup aircraft for Eagle services. Even with the extra capacity passenger numbers were increasing and Eagle Air took delivery of a seventh Bandeirante, ZK-TRM (c/n 110436), in April 1994. In August 1994 Eagle Air took delivery of two further Metroliners, ZK-RCA (c/n AC637) and ZK-SDA (c/n AC641), both of these being imported from the United States. This enabled Eagle to take over Air Nelson’s flights between Gisborne and Wellington. Gisborne’s flights to Auckland were increased to up to seven flights a day with all Gisborne’s remaining Bandeirante services being replaced by Metroliners. This gave Gisborne up to 266 seats a day compared with the 167 seats offered before the withdrawal of the Friendship services. 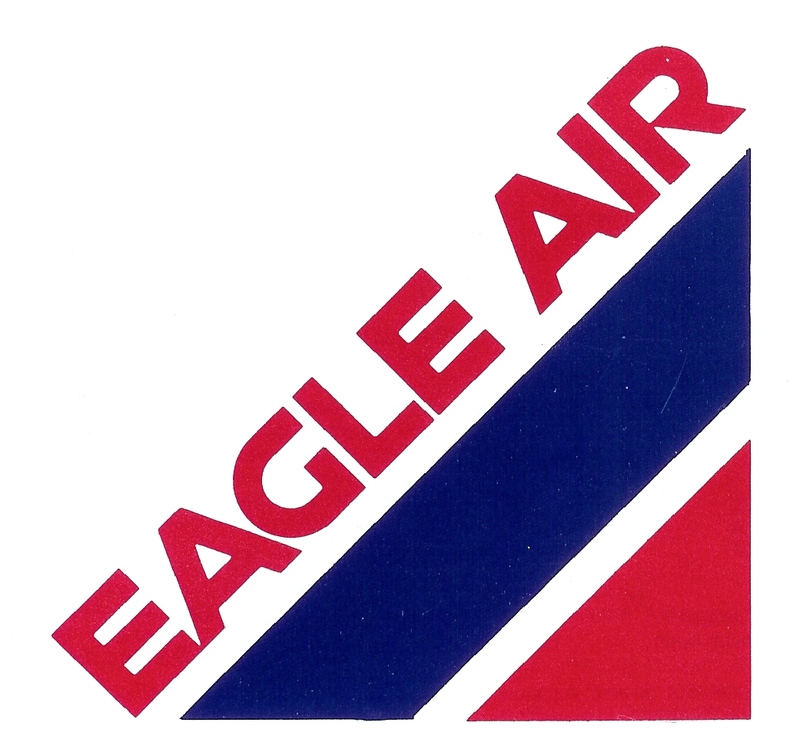 The Eagle Air network circa late 1994. When did Eagle start into Rotorua??? Meanwhile Kiwi West Aviation took over the running of all the services from Hamilton to Gisborne, Wanganui and New Plymouth. To facilitate this a second Excalibur, ZK-TIK, was imported from Australia. Both Excaliburs were painted in Air New Zealand’s teal and blue colours but carried Kiwi West Aviation rather than Air New Zealand Link titles. On the 29th of March 1995 one of the Excaliburs, ZK-TIK, was operating Air New Zealand Link flight 2337, from Hamilton to New Plymouth. Shortly after take-off the plane experienced a twin engine failure and crashed in farmland at Ngahinapouri. Sadly, the two pilots and four passengers were killed. The accident report indicated an error in fuel tank selection due to the two aircraft having slightly different fuel systems. This was followed by a failure to execute a forced landing. The Kiwi West Aviation inter-provincial services were cancelled forthwith. With Eagle Air now operating the Gisborne-Wellington service there was a decreasing need for a Napier-Gisborne service. Eagle Air had been flying the Metroliners on the route with an average load factor of 26 per cent which equated to four or five passengers. 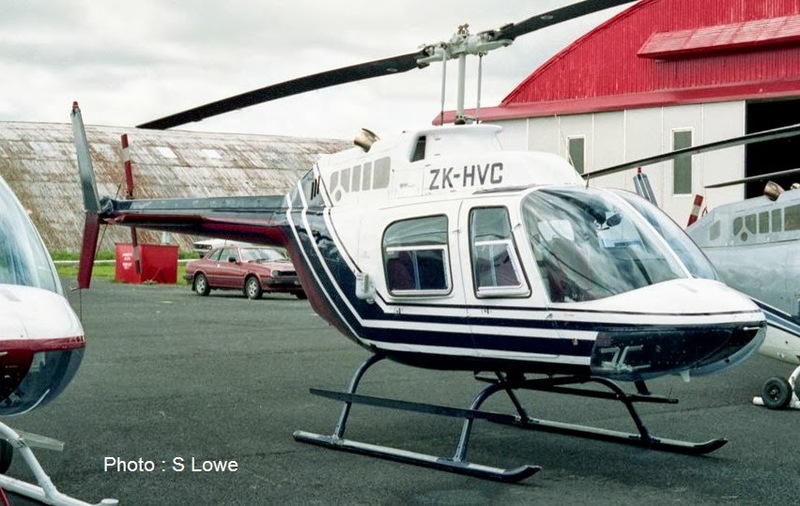 Eagle withdrew from the Napier-Gisborne route on the 13th of August 1995 with United Aviation taking over the service the following day with a Piper Chieftain. At the same time Eagle added an additional Gisborne to Auckland flight. In November 1995 Eagle Air took over Air Nelson’s flights between Wellington and Blenheim. This necessitated the purchase of two more Bandeirantes, ZK-DCH (c/n 110364) and ZK-NDC (c/n 110379), both of which arrived from the United Kingdom in October 1995. 1996 saw two big changes. 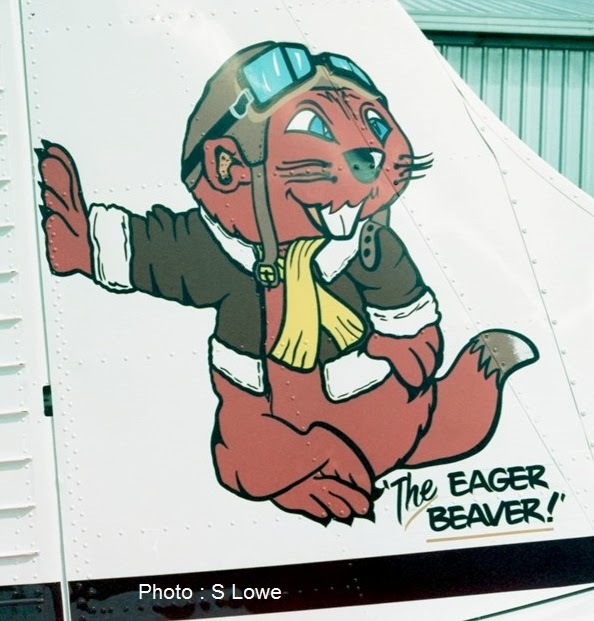 The first was the retirement of Eagle Airway's founder and general manager Malcolm Campbell. In May 1996 when Eagle acquired two ex-Air Nelson Metroliners, ZK-NSW (c/n AC508) and ZK-NSX (c/n AC542). This extra capacity freed up Bandeirantes to facilitate expansion of the Wellington-Blenheim service. Daily return services increased to 12 flights on Mondays to Thursdays with 14 flights on Fridays! Within six months of taking over the Air New Zealand Link operation from Air Nelson Eagle had increased the service by 40 per cent. The acquisition of the Metroliners also enabled Eagle to commence a new direct service between Whakatane and Wellington on the 4th of June 1996. The Metroliner flights left Whakatane early in the morning and returned in the early evening. During the day this Metroliner also did a couple of Cook Strait services to Blenheim. Further expansion from Blenheim came on the 29th of October 1996 when Eagle introduced direct flights between Blenheim and Auckland and Blenheim and Christchurch. The Metroliner did an early morning Blenheim-Christchurch return service before heading north to Auckland. The pattern was repeated in the afternoon. 1996 saw Air New Zealand introduce the Pacific Wave colour scheme though this was not carried through to the Link Carriers until 1998. Most of the Metroliners were repainted in the new scheme. Initially these had the 'Link' title on the tail but from late 2000 three Metroliners had the colour scheme modified with Air New Zealand's koru being painted on the tail and the word Link on the rear of the fuselage. Five of the Bandeirantes were repainted in the new scheme. Above, the first Eagle aircraft to appear in the new Pacific Wave colour scheme was Metroliner ZK-OAA seen here at Christchurch on 10 March 1998. This positioning of the titles and Pacific Wave on the nose was unique to ZK-OAA and ZK-PBA and it was only worn for a brief time. The final variation, and the most attractive, the Koru on the tail and Link titles at the rear as seen on ZK-SDA at Gisborne on 9 February 2001. In September 1998 Ansett New Zealand withdrew its service to Whangarei. To help meet the demand for additional seats Eagle increased its Whangarei services by 14 per week, bringing the number of Bandeirante flights to Whangarei to 69 flights per week! This compared with Air New Zealand’s previous service of 14 Friendship flights a week. 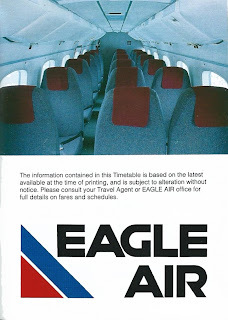 These were the halcyon days for Eagle Air. While still part of the Air New Zealand group it was more independent and was able and willing to respond to provincial needs. The collapse of CityJet in November 1999 enabled Eagle to source some additional Bandeirantes. In April 2000 the company bought four Bandeirantes. Two were added to the fleet; ZK-TZM was reregistered ZK-CEF (c/n 110238) and ZK-TZN was reregistered ZK-VJG (c/n 110298). Both ZK-KML (c/n 110248) and ZK-TZL (c/n 110378) were withdrawn from use and broken up for spares. Both ZK-CEF and ZK-VJG (pictured) only wore the new Link colour scheme. ZK-VJG is seen at Woodbourne on 22 September 2000. In February 2001 it was announced Eagle Airways would replace its Bandeirante and Metroliners with 16 new Beechcraft 1900D 19-seat aircraft. It was also announced that Eagle would pick up all Air Nelson’s Metroliner services, thus Eagle was to serve Wanganui, Westport, Hokitika and Timaru as well as picking up flights between Wellington and Taupo. With introduction of the Beech 1900D Eagle Air was set to become Air New Zealand’s 19-seat aircraft provider and so enter the most recent chapter of its development. The introduction of the Beech 1900 will be subject of the last post on this history of Eagle Air. 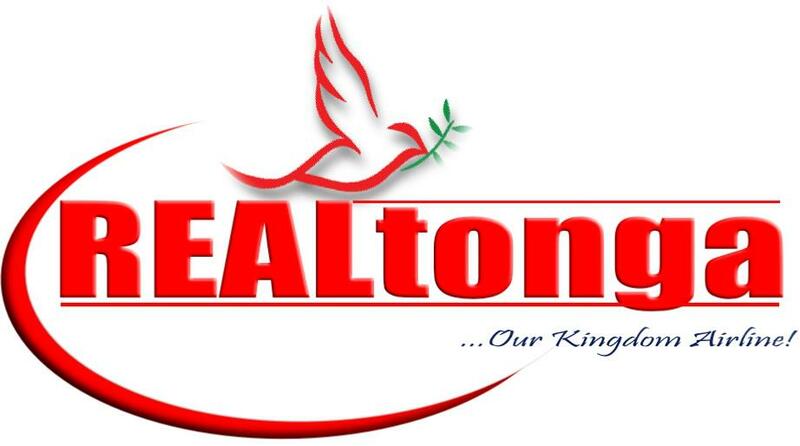 Real Tonga - Just what is going?? ?